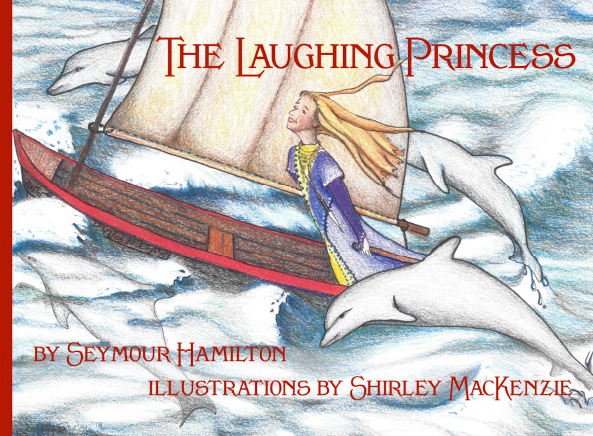 A new edition of Seymour Hamilton’s The Laughing Princess has come to Açedrex. It’s in a special wide softcover format because it is our first fully illustrated book! Shirley MacKenzie, who created the cover of the first edition, has created a full-page, full-color illustration for each of the twelve stories as well as a new cover and endpiece. There are also line drawings of the littlest dragon that demonstrate the way he grows in power and size with each story he tells. This is a handsome volume readers would love to have on their bookshelves! Find it today: CreateSpace | Amazon | request it at your library! This entry was posted in Uncategorized and tagged ebook, seymour hamilton, Shirley Mackenzie, softcover format, The laughing princess. Bookmark the permalink.